Company Name : Oracle India Pvt. Ltd.
> B.E / M.E / B.Tech in CS or equivalent or MCA from reputed universities with consistently good academic record, 3-6 years of experience in product testing or test development field. > Operating System : Hands on experiense in operating systems viz Unix/Linux and Windows etc. > Exposure to automation tools such as QTP, Silktest, Selenium etc. > Some Exposure on installing and configuring Fusion Middleware products on unix platforms. > Excellent verbal and written communication skills. Contact Company : Oracle India Pvt. Ltd.
> Bachelor Degree in Engineering or any other equivalent degree in computer science. > Minimum of 5-7 years of experience in Testing. > Knowledge/experience in pharmaceutical/Life sciences/Health care domain with exposure to FDA/ICH/EMA guidelines, GxP and 21 CFR part 11 compliance regulatory would be an added advantage. > Testing certifications would be an added advantage. > Should have experience in loans . > Should have experience in manual testing. > Expeience in Loan management system, Loan origination system. > Good knowledge in finnone. Quality Kiosk Technologies Office no 419, A wing , Rupa solataire Mahape, MBP Ghansoli. > Should have good exposure to Android automation/manual testing (Native and Hybrid client testing). > Should have good expertise in API testing. > Must have good expertise in Python(a really good experience) and & SQL. > Should have good expertise Load and performance testing. > Should be proficient in security, solution & database testing. > Should have good expertise in Linux, Windows Operating system. > Should have good expertise on CI ATS setup (Jenkins, Bamboo or similar tool). > Must have expertise in Robot Framework testing. > Should have hands-on exposure to Web Automation testing. > Must have experience on any standard test framework like pytest, Robot Framework. > Exploring popular automation tools, bringing new innovative ideas and integrate to build a test automation system. > Work with Test Lead to define and implement Test Strategy for complete solution test. > Should have expertise in Test Plan , Test Report and Test development. > Should have good expertise in Keyword and Hybrid Framework. > Responsible for the setup of Test environments and execution of tests. > Responsible for defect tracking and monitoring on time delivery of bug fixes. > Quick learner result oriented with strong analytical/problem solving skills. > Good written and verbal communication skills. > Developer who is capable of designing, developing and maintaining the python-based automation test scripts and libraries. Hexaware Technologies Plot No. H5 SIPCOT IT PARK, Navallur Post, Siruseri – 603103, Kanchipuram Dt, India. Contact Company : Hexaware Technologies Ltd.
> 3-8 years of experience in software testing. > Experience in tools such as ALM, Clear Quest. > Experience in error guessing techniques, Smoke, Functional, Integration, Regression, Beta, Database, Exploratory Testing etc. > Experience in preparing effective bug reports using defect tracking system and tracking them to closure. > Ability to work productively and efficiently in an agile environment. > Ability to learn new technologies, software, and concepts quickly is essential. > Good communication and presentation skills. > develop and deploy automations to clients in collaboration with teams as an individual contributor. > well structured, maintainable and easy to understand. > communicating any identified project risks and issues to the delivery/project manager accordingly and providing inputs to the change control process. Note : This opportunity is for the associates, who can join us within 30 days. Interested candidates please walk-in on Saturday (6th Oct) along with your updated profile and three (3) months pay slips. 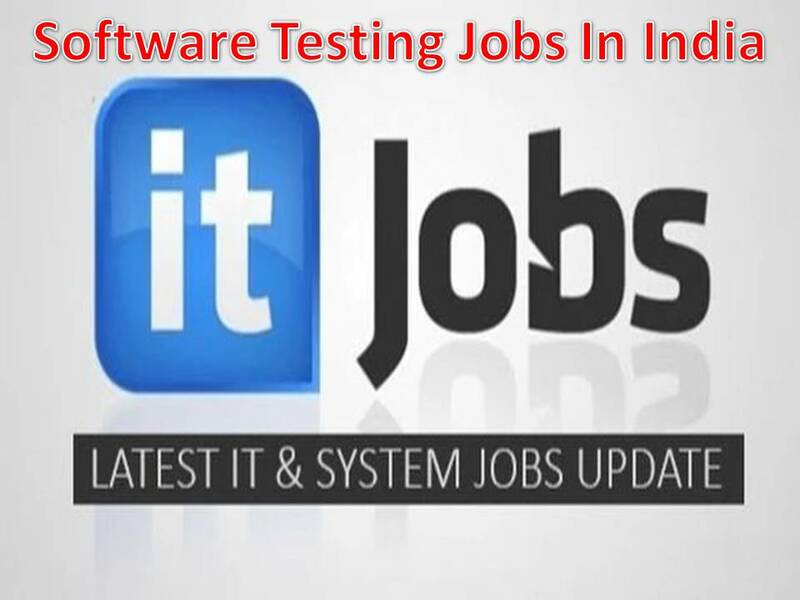 11) Good Opportunity for Selenium Automation Testers !! Test automation with Selenium or ServiceNow ATF. Demonstrated test automation strategy for agile projects (sanity, sprint over sprint regression, base regression) Native SQL or TOAD Functional testing of APIs (JSON and / or XML) using Soap UI HP ALM (M). > Must have Strong knowledge on Manual Testing. > Estimate test coverage needs (First Pass, Regression, etc.). > Develop test plans using grey box testing concepts. > Identify, analyze, and document defects, questionable functions, errors, and inconsistencies in software program functions, outputs and content. > Manage the test environment. > Collaborate with developers, system engineers and test engineers in troubleshooting efforts. > Assist in the development and implementation of quality control policies and procedures. > Conduct peer reviews on system requirements, test procedures, artifacts and records. > Facilitate test plan review meetings with software engineers and other stakeholders on the project. > Communicate project status to project team and management. > Good understanding of SDLC and STLC. > Design, write and execute detailed test cases for web and mobile application. > Contribute ideas to improve our QA processes and best practices based on your extensive experience. > Work with development team to understand the underlying technology to improve the authored test cases. > Execute the test cases and ensure that the product is adhering to the functional specs authored. > Hands on experience in Mobile Application (Andriod/IOS) end to end testing,functional and UI. > Experience on using defect management tool. atom technologies limited FT Tower, CTS No. 256 & 257, 1st Floor, Suren Road, Chakala, Andheri (E), Mumbai 400093. > OptionMatrix InfoTech looking for Quality Analyst with 2-5 years of experience. > Hand on experience in Manual Testing Methodologies.Mobile testing is required. > Candidates available in Hyderabad only apply. > Immediate joiners and 1 months joinees preferred. > 3+ years of development experience with Java and related frameworks such as Spring. > 5+ years of experience in Software Engineering, Automated Testing and/or Quality Assurance. > 2+ years developing tests for Web Services (SOAP and RESTFul). > Previous experience building out automated testing alongside feature development. > Strong knowledge and understanding of test automation, concepts, theories and best practices. > Natural interest and desire to drive innovation through automation. > Understand the role of testing within the software development lifecycle and business-related project constraints in web and mobile developments. > Develop, implement and execute test plans and scripts to address business and technical use cases. > Research and document bug reports following agreed-upon processes immediately upon discovery of a quality problem. > Use existing tools and techniques to execute test cases and build new tools and scripts for performing testing/validation function. > Participate in troubleshooting and triaging of issues with different teams to drive towards root cause identification and resolution. > Work with the Development team to capture and reuse automated Unit Test Cases, Test plans, and other Development test objects. > Participate in technical communication within the team and to other groups associated with specified projects such as users to define system requirements and/or necessary modifications. > BE or Equivalent degree from a reputed institute. > 7+ years of software manual and automated testing experience in web and mobile applications. > Experience in testing eCommerce Application a plus. > Strong background in web & mobile software development with the ability to understand how client software fits into the “”bigger picture”” of an enterprise software solution. > Experience mentoring and guiding other testers in terms of software testing, test plans, and creating test reports. > Knowledge of automated testing tools, like Selenium, WinRunner, QTP, Rational Robot, etc. Experience with at least one open source test automation framework. > Must be flexible, independent and self motivated and should be able to work with team members across various locations. > Create tests plans, test cases, test strategy, running tests, implementing build and test infrastructure, test automation and ensure good engineering practices by the team. > Prepare test plans for Cloud testing and manage incoming inquiries from testers. > Track and report testing status across active projects. > Work with other teams to ensure efficient testing workflows. > Build out automation to streamline testing. > Bachelor’s degree in Computer Science, Information Science, or equivalent practical experience. > 3 years of experience with automated testing and test automation tools. > 3 years of experience building User Interface (UI) automation from the ground up and implementing it for use in a release process. > 2 years of experience with clear and well documented test case writing. > Master’s degree in Computer Science, Computer Engineering, Electrical Engineering, or equivalent practical experience. > Experience with Moblile Application and API testing. > Ability to deal with test environment configurations and management. Company Name : Sixt R&D Pvt Ltd.
> Lead/contribute to engineering efforts from planning and organization to execution and delivery to solve complex engineering problems in quality and development. > Design and build advanced automated testing framework, tools, automated test suites, Shell, Java (TestNG/JUnit) and Linux. > Build, enhance and maintain automation frameworks for scalability, stability, and performance. > Work with the open source community to scale up test automation practices and provide robust releases. > Good knowledge of test methodologies, creating test cases and test plans. > Define the optimum suites for sanity, regression, smoke, deployment verification etc. and advanced aspects of system testing automation. > Bachelors or Masters degree in Computer Engineering or equivalent. > Proficient in writing clean, maintainable code in Java. > Experience with one or more database technologies (Postgres, MySQL) a must. > Experience in testing Web Services (REST preferred) using Rest Assured, HTTP Client, POSTMAN etc. > Hands on experience in Java TestNG/JUNIT, Cucumber, Serenity, Gradle/Maven. > Expertise in one or more of the following tools/frameworks: Junit/TestNG, Selenium WebDriver, Page Object Model, Data Driven, Keyword Driven and Hybrid Frameworks. > Identify QA and testing issues and generate solutions for process improvement. > Requires a Bachelors degree in Computer Science, Computer Engineering, or related field and 2+ years of experience in distributed operating systems (Windows/Linux/Solaris). > This experience must include experience in reviewing product requirements and design, creating test plans, and testing scalable, distributed, fault-tolerated web-based applications. > Experience in SQL and SOA.